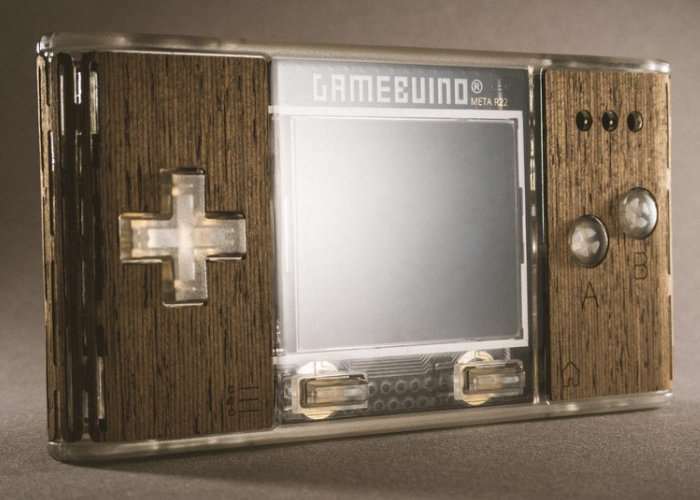 French designer and developer Aurélien Rodot has created an awesome retro styled Arduino compatible handheld games console called the Gamebuino META, which has been designed to both play your favourite games and also allow you to design and create new ones. The Gamebuino META allows you to learn more about programming and electronics and is small enough to fit in your front pocket. Watch the demonstration video below to learn more about the games and features of this awesome handheld console. The Gamebuino META fits in your front pocket, packs plenty of free exclusive games and the battery will last a continuous day of gaming. Kill time on your commute (or during class) while saving your phone’s battery. Gamebuino is meant to teach programming, but we also want the best gaming experience. We did many iterations to get the right feeling; it was very rewarding to read the following. It comes from Drakker, who got a 3D printed, hand-soldered prototype. The d-pad and buttons are GREAT. And I mean it. They are Gameboy/DS level great. They blow everything else away, including playstation/xbox controllers with their crappy round and fake 4 separate buttons d-pad. […] The screen seems amazing. [It] seems very responsive and the colors are bright and very saturated, which is surprising frankly. […] Back to the case, it’s very comfy in the hand. […] I am frankly impressed. This is a VERY promising product. It radiates quality, and it’s just a prototype. For more details, full specifications and to make a pledge from €79 jump over to the official Kickstarter campaign page by following the link below.